Daniil Lihodienko, 7 years old, Khabarovsk Territory, cerebral palsy, microcephaly, epilepsy. 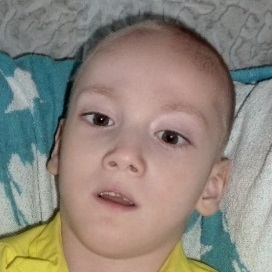 The child suffers from the violation of swallowing, lack of motor functions, he cannot hold his head, sit, stand, he feels pain when moving his body. Daniil also suffered a hip joint dislocation and has had a tracheostoma placed. 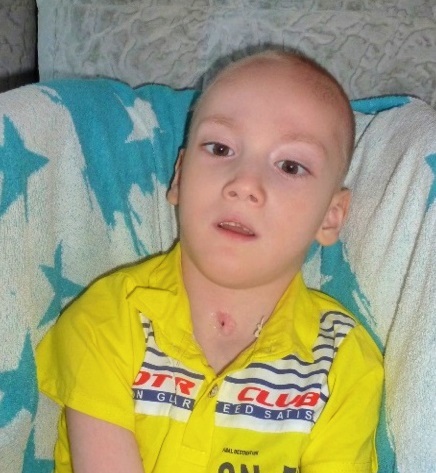 We helped the family several years ago, when Daniil came to Germany for a brain surgery. The treatment gave good results. Yet upon returning home, the child got into the intensive care for more than a month. The epileptic attacks came back and occur now more often, being accompanied by constant pain. Unfortunately, they cannot help Daniil in Russia. All treatments at the Russian clinics only ended with a deterioration of his state. Assuta clinics in Israel is ready to take Danya for examination and treatment of all his multiple diagnoses. The funds for the treatment have been found. However, the cost of diagnosis, without which there will be no treatment, still has to be covered. It amounts to EUR 6,200. 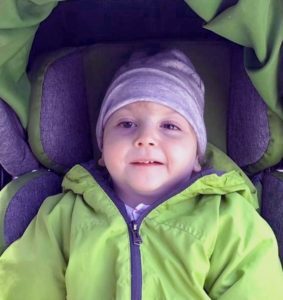 Katya Zubova, 3 years old, Novosibirsk, cerebral palsy. The child is undergoing rehabilitation in Ratingen at Thera Reha clinic. After her complicated birth, Katya did not come out of coma for 3 weeks. The first several months of her life she spent in intensive care, on the artificial respiration, with feeding tubules in her navel. Gradually, she began to open her eyes and learned to breathe on her own. At 3 months, she was allowed to go home. 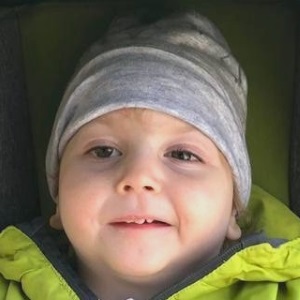 The parents immediately began to look for ways to rehabilitate the child; for the first year they were trying at home, in the centers and clinics of Novosibirsk, but this did not give any results. The first results appeared in Germany. A neurologist from Dusseldorf taught Katya to swallow. At the Thera Reha clinic in Ratingen, the doctors noticed that Katya understands everything and wants to communicate, learn, is trying to move on her own. 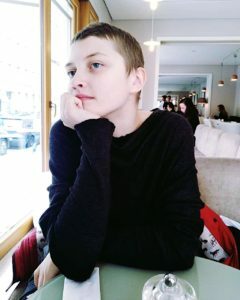 Due to rehabilitation courses, Katya began to move her hands consciously, roll over, lean on her hands, hold her head, try to communicate with sounds. 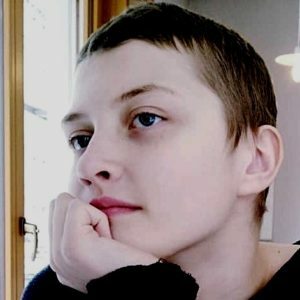 Alisa Terekhova, 13 years old, Moscow, cancer relapse. Alice likes animals and dreams to become a designer.